The Minister of Finance, Mrs. Kemi Adeosun, on Sunday said that the letter that she wrote to the Acting Chairman of the Economic and Financial Crimes Commission, Ibrahim Magu, was to improve control over recovered funds. Adeosun said in a statement issued by her Media Adviser, Oluyinka Akintunde, that contrary to media reports that she had ulterior motives, the letter was written to enable the reconciliation and harmonisation of funds recovered by the Federal Government. 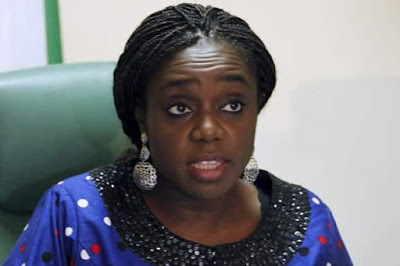 The statement read in part, “The attention of the Minister of Finance, Mrs. Kemi Adeosun, has been drawn to media reports misrepresenting her innocuous letter to the acting Chairman of the Economic and Financial Crimes Commission, Mr. Ibrahim Magu, on cash recoveries by the Federal Government. “The minister wishes to state explicitly that the letter dated 9th of February, 2018, was a standard letter aimed at improving controls over the recovered funds. “There is no ulterior motive behind the letter as alleged in some media reports, but to enable the reconciliation and harmonisation of the figures on recovered funds by the government. The minister had in the letter titled, ‘Summary of EFCC recoveries from May 2015 to January 2018’, said that there had been recovery figures in the media by the commission, which did not correspond with the records of the ministry.